I’ve seen this in Facebook and I couldn’t help but share. When you have a typically normal kid, it is so easy to push them to get ahead of the game. We tend to think that their usual curiosity at a very early age is a sign that they are “gifted” and we try to hone it to the point of getting competitive in the parenting department, wanting our kids to be better than everybody else. Well, I don’t think all parents do this but I hope you get the drift. Being a Mom to a child with Down syndrome, I have learned and still learning to become more patient. We need to stop and smell the roses, so to speak. Down syndrome is termed to be a learning disability so we cannot really push our kids to do things the way we would a typical kid. We need a lot of patience and we need to stick to routine for our kids to learn one thing before moving on to the next. 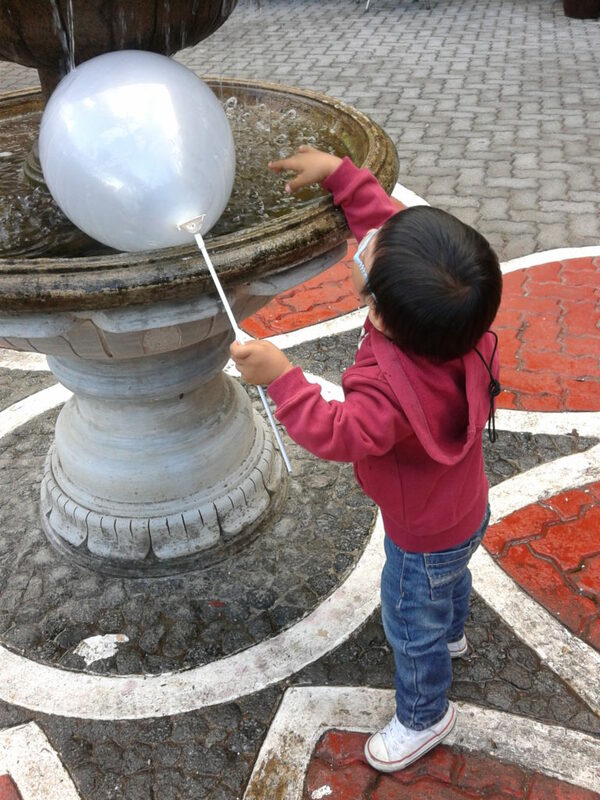 My son is already 2 years and 4 months (turning 2 years and 5 months in 10 days). He has just learned how to walk a couple of months back. 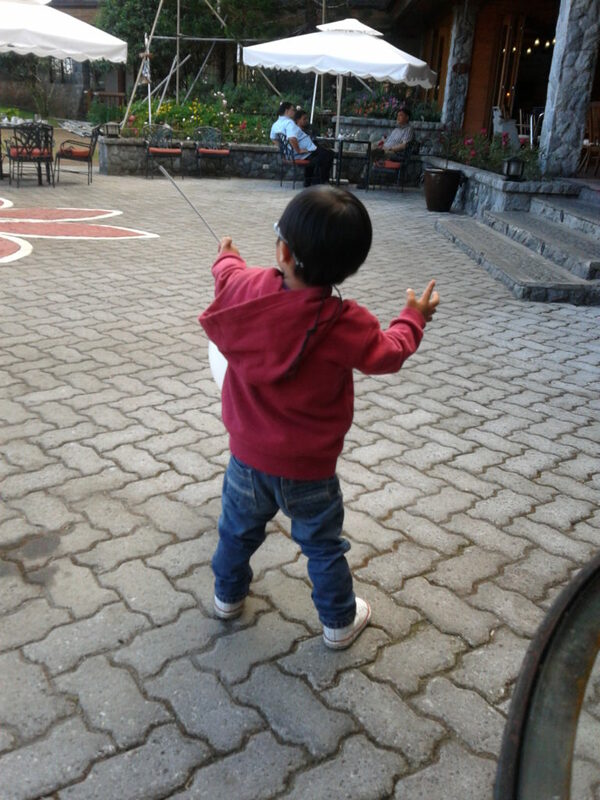 He is still working on his balance but I can see his determination to walk and soon, run. My little Z is still non-verbal as well. He babbles a lot but no distinct words is still said. He imitates sounds like a dog’s bark or a car’s horn. 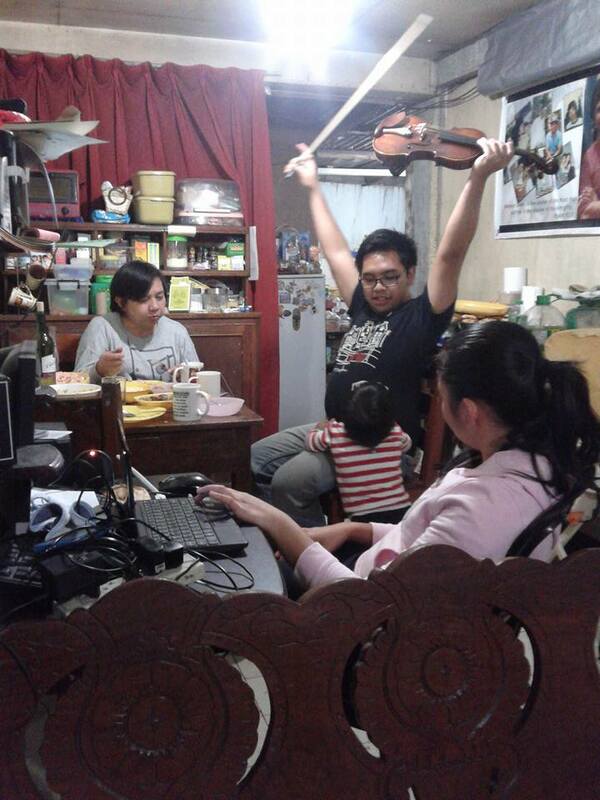 My son loves music. He loves “The Wheels on the Bus”, “Eensy Weensy Spider”, “Twinkle Twinkle Little Star”, “I Have Two Hands”, and a few more nursery rhymes. He even knows the actions to these songs. And he will do the actions even if he just hears the melody and no lyrics. 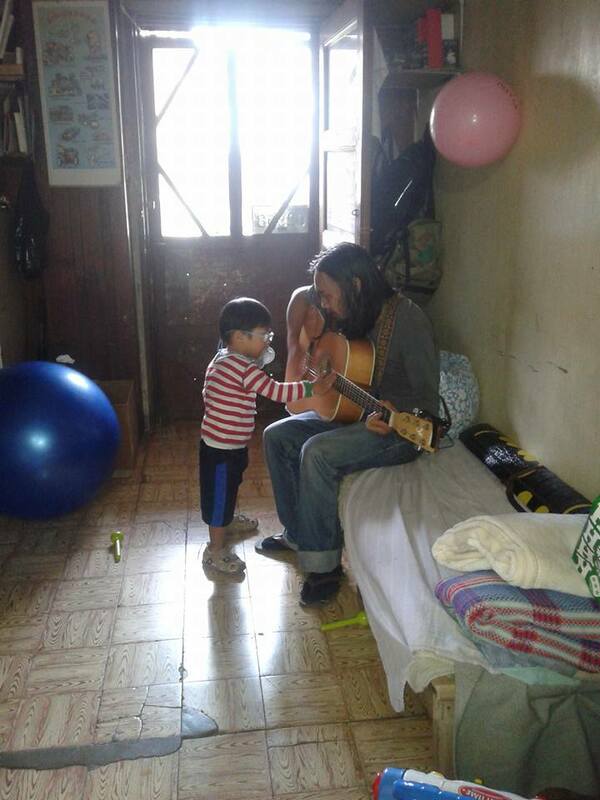 Whenever someone plays an instrument at home, he would immediately go to the person playing and would try to play the instrument himself. When he sees a remote control, he would point it to the TV. 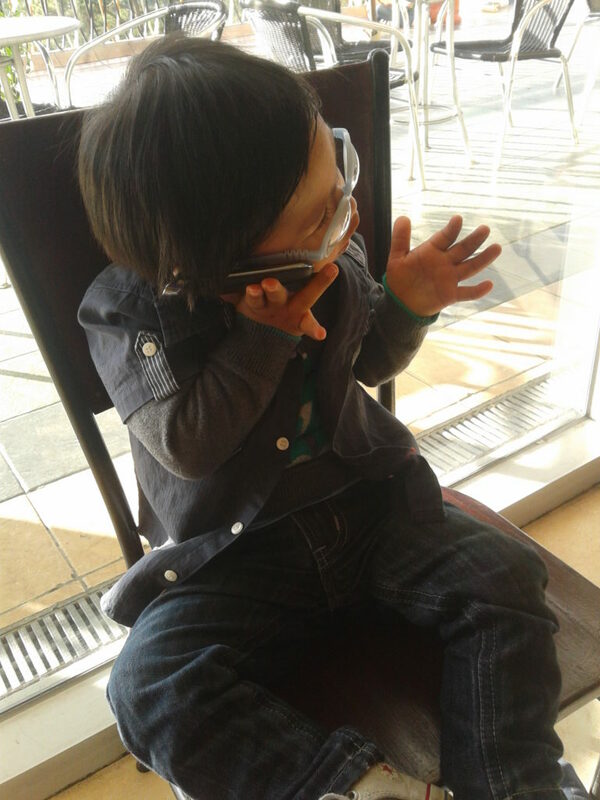 He picks up a phone when he sees one and would bring it to his ear or to your ear. 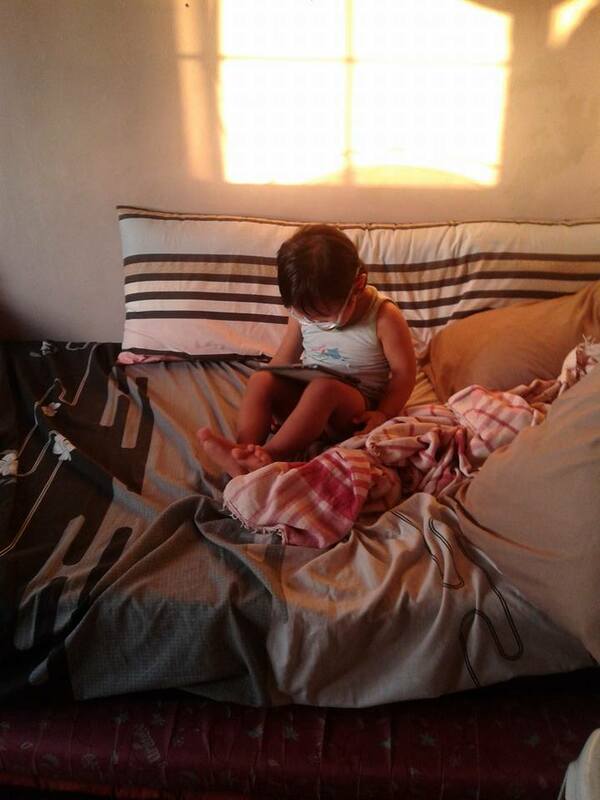 When he sees my tablet, he would “ask” me to play his app by taking my hand and tapping it on the tablet. He knocks on closed doors, he would crawl to the fridge and open it. He now knows how to sit on a small chair. And he knows that he needs to close the gate when we go out for a walk or come back from the outside. In his own little way, he would communicate with you what he wants. He loves cars and anything that goes around. 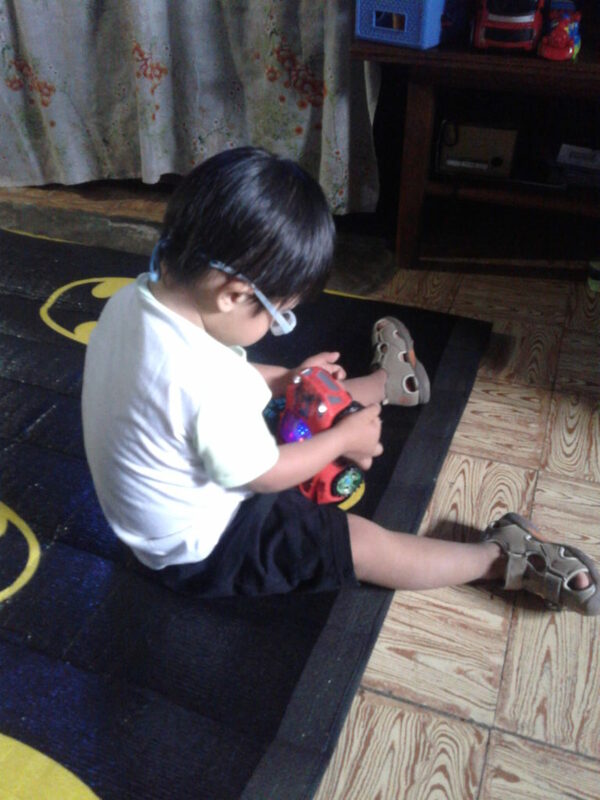 He checks the wheels on his toy cars to see how they work. And he definitely loves colorful lights. Early December last year, I brought him to Ayala Triangle to watch the light show and he loved it. Z also loved the light show of John Hay Manor when we tagged along with my cousin on Christmas eve. We (my mom, sister or I) would walk Z to the main street back home everyday just to watch cars passing by. After a few minutes, we would walk back home. And if given the chance, he would hold the tires of cars parked nearby. He attends therapy sessions once a week and one of the things they use is a gym ball. He has his own gym ball at home, too. 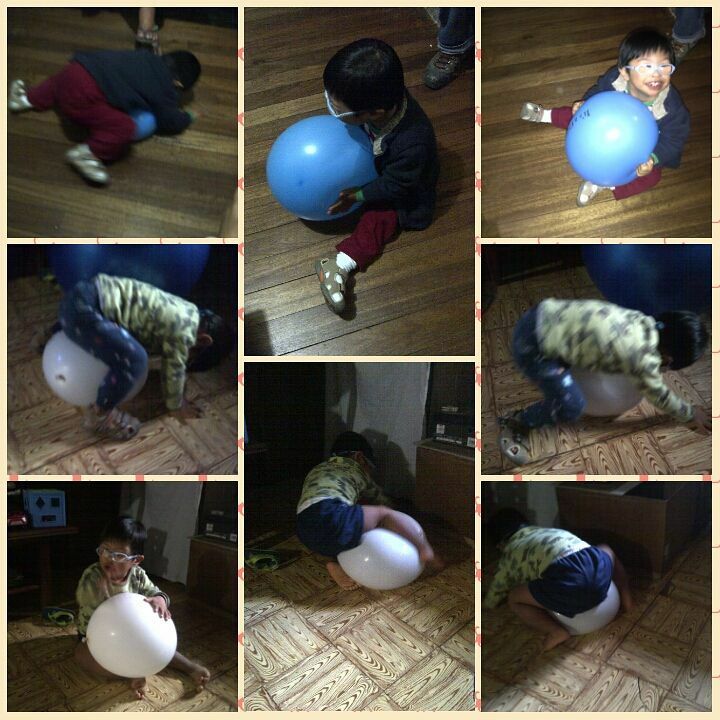 But since his gym ball is quite big for him, he would use a balloon and imitate the activities he does during therapy. LOL! This was really fun to watch. While these may seem small compared to milestones of typical kids his age, I am just proud that Z was able to hit these milestones. Surprisingly, I am not rushing for him to do things as well. I am learning to be patient in guiding him to hit his milestones in his own time. For me, it would be better that my son understands each and every lesson he learns as he grows rather than pushing him to do things prematurely. I guess this is something that we all need to learn and understand. Kids would do things in their own sweet time with our proper guidance. You might be surprised with what the will achieve eventually. I feel the same way. There’s no need to have your child knowing everything before they’re 2 or 3. Sometimes it seems like a competition. Kids learn at their own pace. A nice read. Sometimes. parents tend to rush their kids and panic if they arent still talking or walking. One thing I learned from a recollection I have attended was “do not compare” and you will then appreciate every single development your kid does. Hello to the ever active Z.
I agree with this mommy, we should not force our kid, because everything it has their own steps development and don’t ever compare your child to other childs because every child is unique. I agree with you. 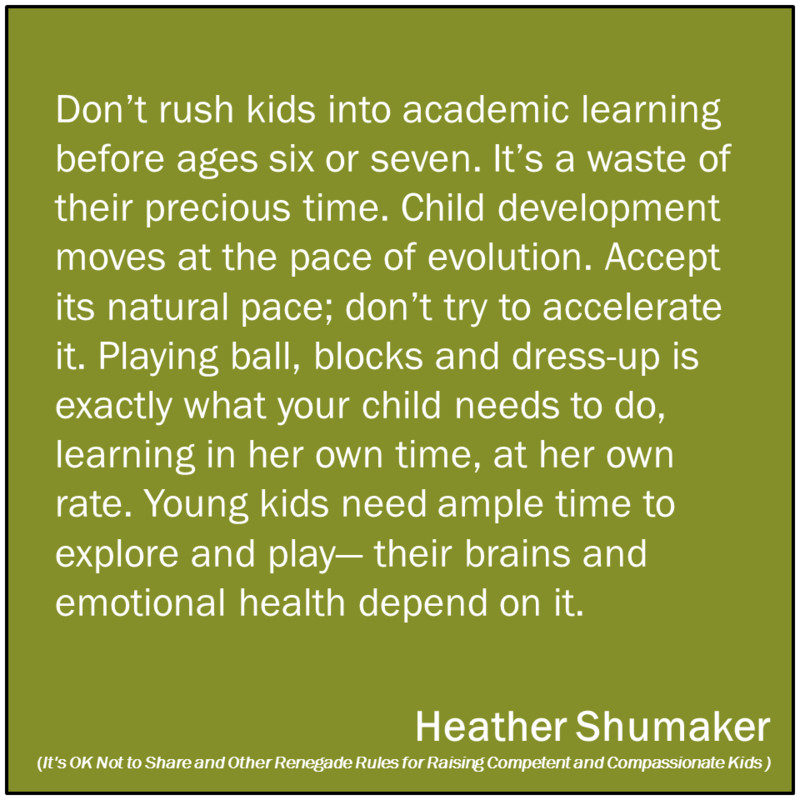 We should not rush our kids to learn things. It will come naturally. I salute you in taking care of your child. Thank you for sharing. I always admire moms like you who have unconditional love for their kids. Yes, do not compare your kid to others and just let him learn at his own time. Keep it up. It’s but natural to want to see developments sa mga anak natin, but we always have to realize that when they get old, you’d want them back to their young age. it’s really not about pressuring them to be something they are not, but we want them to reach their full potential.